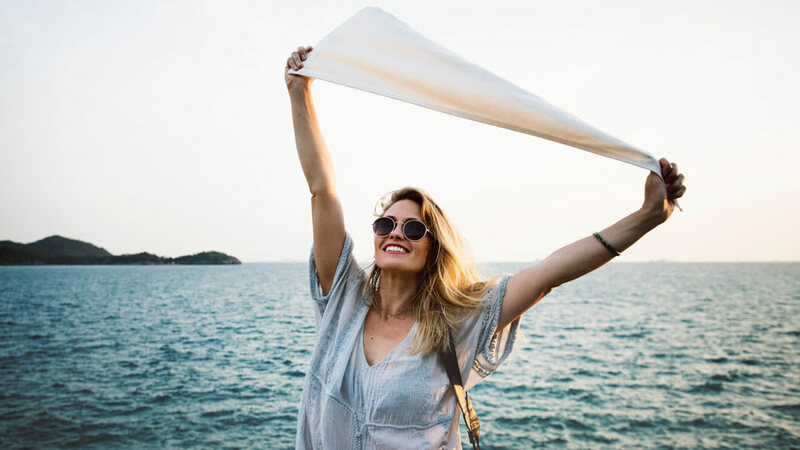 Credits: "Natalie Heathcoat at Unsplash.com"
Our beauty and skin care reviewer, Sonia Singh, tried out six awesome cleansers and exfoliators from Beautycounter, Dahliana, and Annmarie and detailed her experience here. Sonia is a Dermveda skin type 6, which means her skin has a strong tendency toward both dryness and oiliness, has a dominant vata imbalance and minor kapha imbalance, and is overly yang in nature and prone to dampness. Find out your skin type for free here! These six products were provided by Beautycounter, Dahliana, and Annmarie for Dermveda's writers to try and review. 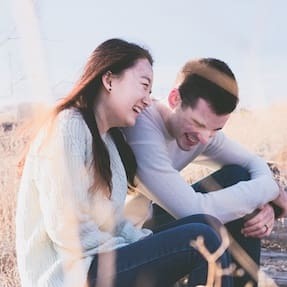 We hope you skinjoy! Characteristics: The cleanser comes in a long white squeeze tube that easily distributes the product. It has a light soothing scent. I liked the product consistency as it was creamy and lathered up once scrubbed into the skin. 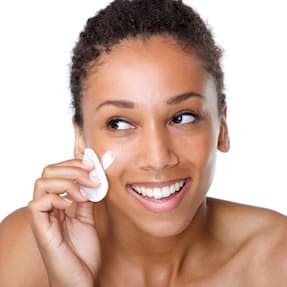 Function: The prime function of the product is to cleanse the skin and provide moisture. Standards: The product ensures safe ingredients. They have a “The Never List” on their site that shares all the harmful ingredients that are not in their products. Review Process: Since it’s a lightweight cleanser, I used this twice a day. Experience: I loved how the application of the product was creamy and soothing upon initial application. It had a light fragrance, although, there is no fragrance in the product. It had a “clean” scent. I used it along with my facial brush, and it lathered up nicely. Once washed off, it left my skin moisturized rather than dry. Perceived Effectiveness: It did help with removing any traces of makeup that might have been left behind when I used my face wipe. It also didn’t leave my face dry as my usual facial washes do. Recommendations: I recommend using this anytime you need to wash your face with some freshness. Conclusion: Overall, the formula is fantastic and the product works well. I know that there are “safer” ingredients, and I am thankful for that since we need more products out there that will do more good than harm. Characteristics: The exfoliator comes in a long easy-to-squeeze tube. It has the same scent as the nourishing cleanser, light and “clean.” The formula is milky with little beads. Function: The prime function of the product is to exfoliate the skin and remove dead skin. Review Process: I used this product twice a week or whenever I used a large amount of make-up. 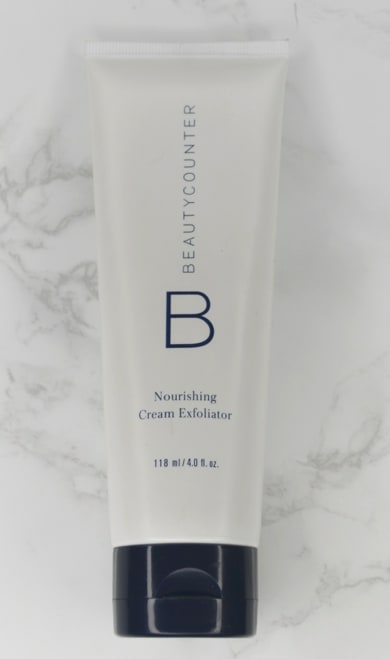 I used it before my Beautycounter Nourishing Cream Cleanser. I felt it was similar to the cream cleanser but had tiny beads. Experience: The cleanser was light and creamy with a fresh clean scent. Since I have allergies, I don’t use products that have heavy scents. Perceived Effectiveness: Although my skin felt clean, I tend to prefer deeper exfoliators. This could be a good fit for those looking for a lighter product. Recommendations: I would recommend using it at night prior to your cleanser. You can actually just apply this product, as it can be used alone. However, I’d use an exfoliating brush, such as a Clarisonic, if you would like a deep cleanse since this product seems to be very light. Conclusion: Overall, I like the scent. Even though it wasn’t the right exfoliator for me, I appreciate that it has more natural ingredients than most exfoliators on the market. 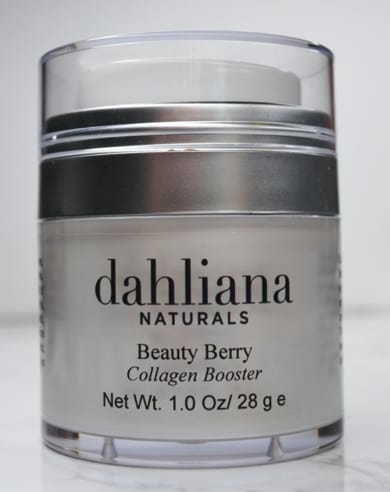 Characteristics: This moisturizer is a creamy white formula with a berry scent. Function: This product is designed to hydrate your skin and boost collagen production whether your skin type is oily, normal, mature or combination. Standards: This product is chemical and paraben free, vegan, GMO- and gluten free. Review Process: I liked using this product with my nightly routine since your skin recovers better at night. I loved the jar that it comes in, as it can easily be distributed by pushing down on the cap. The perfect amount of product comes out per application. I found that to be innovative. Experience: I noticed the results rather quickly. Just the next day, my skin felt softer and looked lively. I didn’t have the usual dry patches, and the lines under my eyes also seemed to look faded. Perceived Effectiveness: Its nourishing cocktail of ingredients made my skin feel alive again. 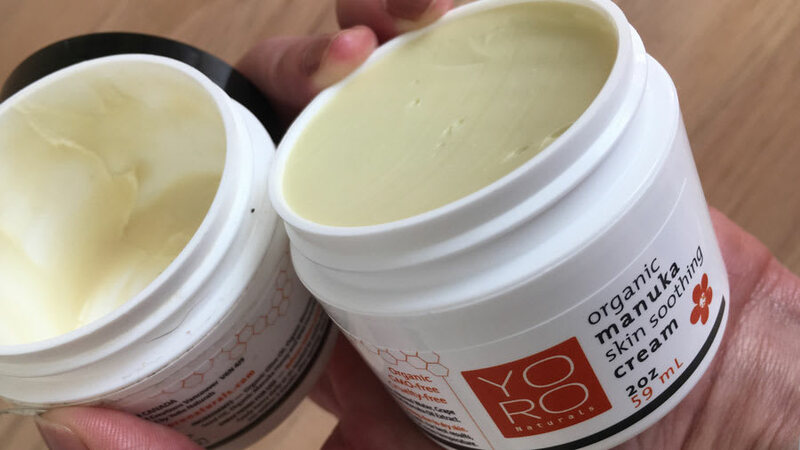 There was a reduction of redness around my nose and cheeks, the fine lines under my eyes seemed to disappear, and I was less oily throughout the day. Recommendations: I recommend using this product anytime your skin needs a boost of hydration. Conclusion: Overall, this is an excellent product. Although the price is a little steep, this product is worth it. There aren’t many products out there that have safe ingredients and show results within a day. Isn’t that what we’re looking for essentially? Give it a try! 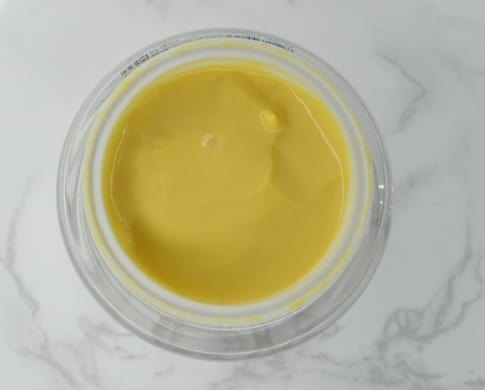 Characteristics: This product is yellow in color with a dense creamy formula with a citrus scent. Function: The purpose of this cream is to provide hydration and collagen production by using all natural ingredients. Standards: This product is chemical and paraben free, vegan, GMO-free with all natural organic ingredients. 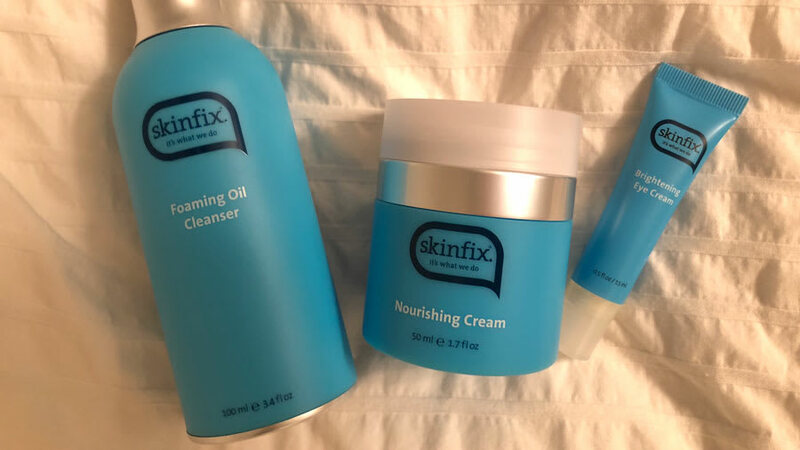 Review Process: I used this cream every night after my normal skin care routine. It is a dense formula that once applied, your skin starts to soak up the product. It doesn’t sit on the face and gets easily absorbed. 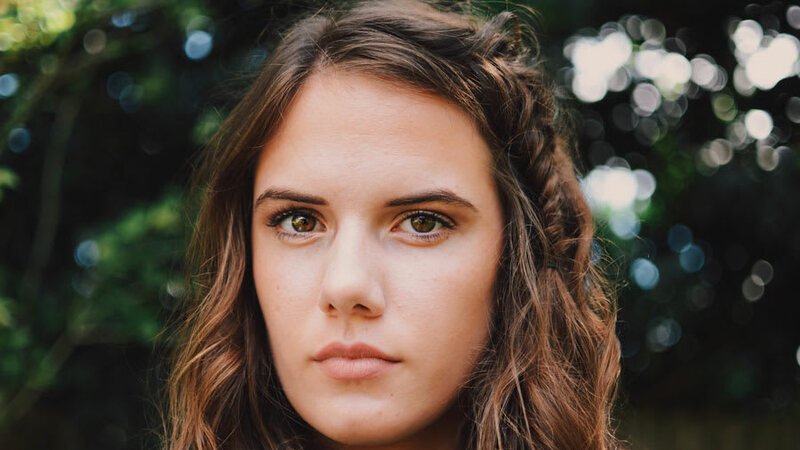 Experience: I liked how this product made my skin feel. It gave me a youthful glow the following day which made me realize that I needed a little less makeup some days. I liked how my skin looked without makeup. It had a youthful sheen to it. Perceived Effectiveness: This product is quite effective especially if you have dry skin. I have combination skin, so the dry patches on my face literally disappeared. Similar Product Comparison: Compared to the Dahliana “Collagen Booster,” this was a little more hydrating. According to the manufacturers, this product is intended for more mature skin. Recommendations: I recommend using this product anytime your skin needs a ton of moisture, especially during the winter months or if you travel a lot. That is usually the time my skin is very dry. Conclusion: Overall, the product is effective when it comes to providing hydration to the skin. 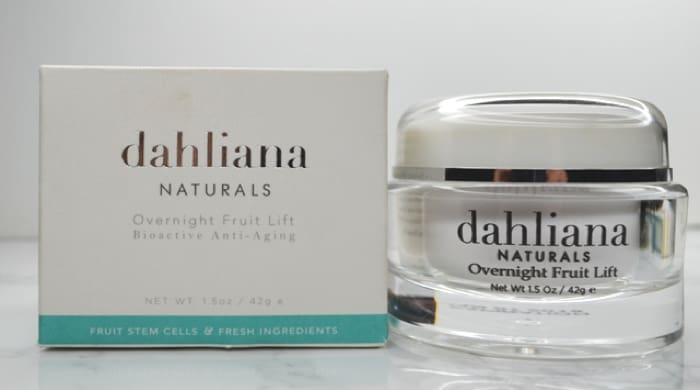 Since the Dahliana “Collagen Booster” serves a similar purpose to this product, I would probably opt for that over this one given the price difference. Characteristics: The cleanser has a white milky appearance with a lemon fresh scent. Function: This cleanser is meant to wash off any dirt or build-up on the skin, all while providing moisture back into your skin. Standards: This product is vegan, non-GMO, and made with organically grown products. Review Process: I primarily used this face wash during the day. The fresh lemon scent made my face feel squeaky clean would wake me up in the morning. Experience: I loved the scent, the formula, and the easy-to-use pump. 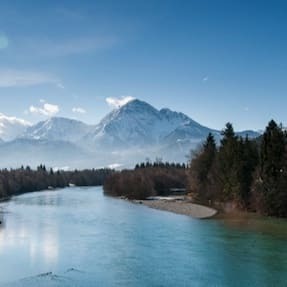 Perceived Effectiveness: I found the formula to be quite effective when it came to removing make-up and debris from my face. I also have combo skin and didn’t feel oily afterward. Recommendations: I would definitely recommend this product to anyone with any skin type, as it doesn’t dry out your skin after daily use. Conclusion: Overall, the cleanser was very effective and the results were on point. With daily use of this product, my skin didn’t feel dry or flaky afterward but instead felt nourished. I think that is important, as the product shouldn’t strip your skin of its natural oils. 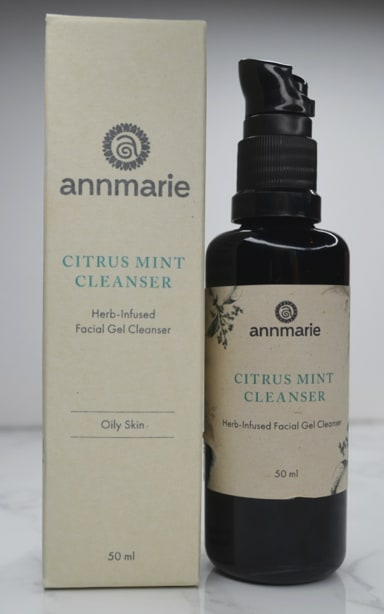 Characteristics: The cleanser has a clear milky appearance with a fresh citrus mint scent. Function: This cleanser is meant to remove any traces of makeup, dirt and/or other pollutants. Review Process: I used this cleanser during the night, as it was meant to strip the skin of make-up or any dirt from the day. I used it along with my Clarisonic. Experience: The product was easy to distribute as it had a pump. It had a light lemon-herb like smell which was refreshing. Perceived Effectiveness: I gently scrubbed my face with the cleanser before using my Clarisonic, and I noticed that it was removing a lot of my face makeup without even scrubbing. That’s a plus, as I know that it’s actually working not just slipping and sliding on my face. 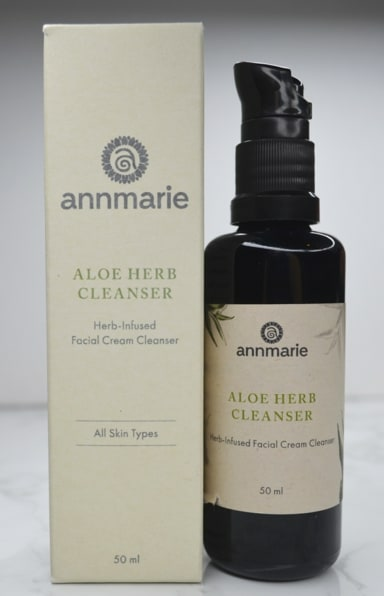 Similar Comparison: Compared to the Annmarie “Aloe-Herb” cleanser, this one got rid of more heavy duty products on my skin and still gave me the added moisture my skin needed. Recommendations: I recommend using this product at night when you are done with your day. It’ll remove all traces of makeup, dirt, and oil without costing your skin its natural oils. I like that it did not dry out my skin. Conclusion: Overall, the cleanser was very effective and seemed to remove more than the aloe-herb formula. And of course, I truly appreciate bottles that have an easy-to-use pump since it avoids the mess and keeps the product germ-free.